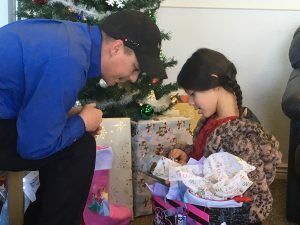 To spread the joy and love of the Christmas season, Keller Bros. is giving a special Christmas gift to two local families. At the beginning of this month, we asked our customers to tell us the story of a family who you believe deserves a special blessing this holiday season. We wanted to know about your neighbors, friends, and church members who touch your hearts. The nominations you submitted touched our hearts, and we’re honored to support both families during this holiday season. A single mom with two young girls was nominated by her sister. 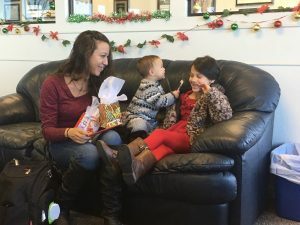 Between full days at work and struggling to manage multiple responsibilities, her sister wanted to make the holidays extra special for her and the girls. The second nomination came from a woman who saw her co-worker struggling to provide gifts for the 7 children and grandchildren in her care. 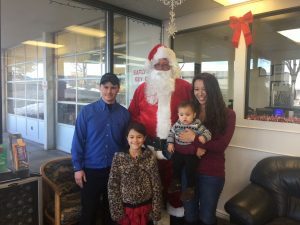 Keller Bros. is honored to help make these Christmas wishes a reality! Santa’s elves are hard at work preparing gifts for the two families. 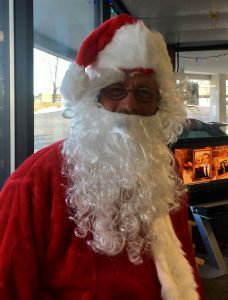 Santa brought his sleigh into Keller Bros. this week for some pre-Christmas maintenance, and he delivered wonderful gifts for the three adults and nine children that were nominated. Instead of the hustle and bustle of the commercialized holidays, we want to focus on the true meaning of Christmas. This season is about sharing love and joy with our community! Thank you for sharing these stories with us, and for your part helping us bless two families in our community. We live here, we love it here, and we hope it shows.